This event is currently sold out with MetroBoard. If you still want to attend please purchase tickets via the Shedd Aquarium. Event admission is FREE for IL Residents + a $3.00 transaction fee. Hope to see you there! 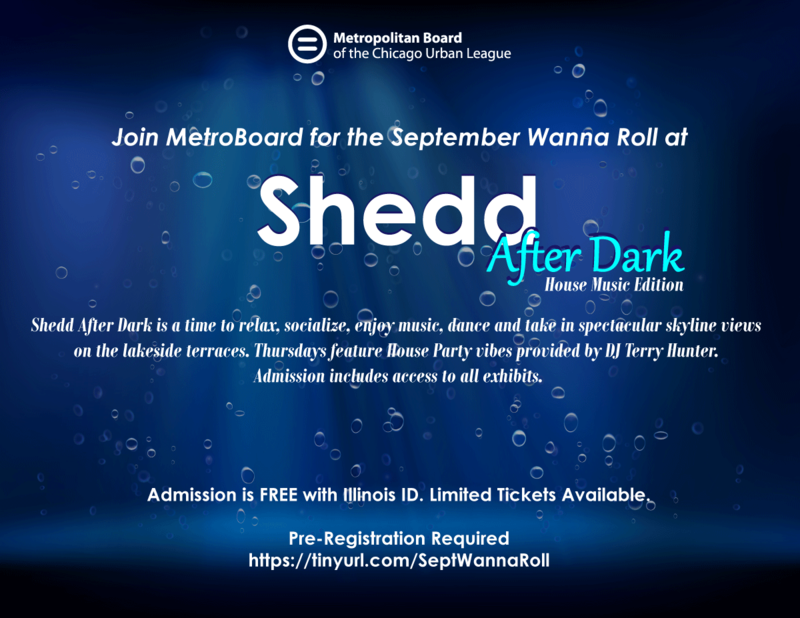 Shedd After Dark is a time to relax, socialize, enjoy music, dance and take in spectacular skyline views on the lakeside terraces. Thursdays feature House Party vibes provided by DJ Terry Hunter. Admission includes access to all exhibits.